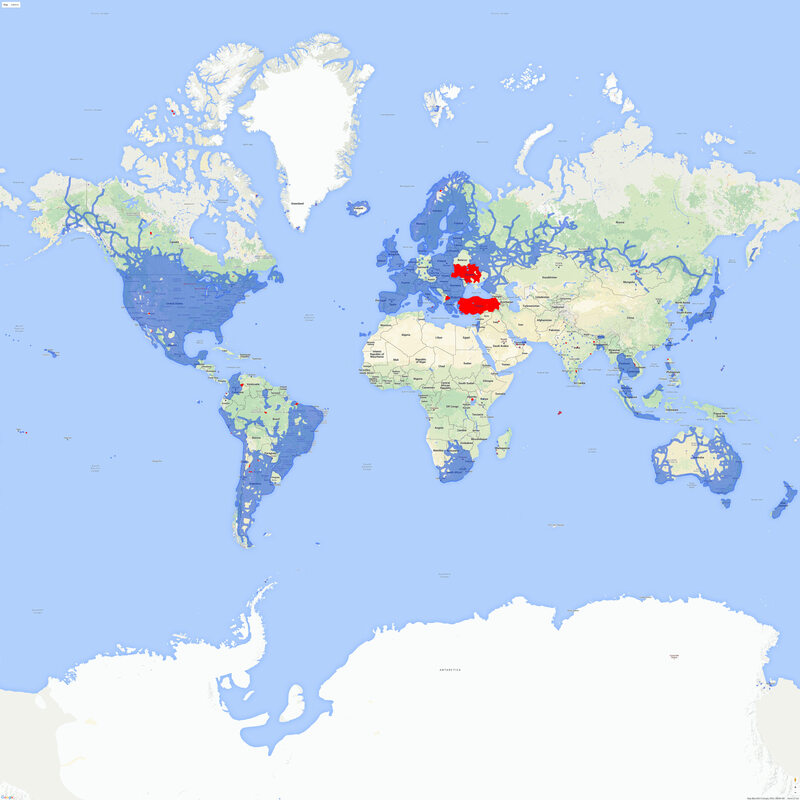 Street View has been added to Turkey, Ukraine and Macedonia. The last major additions prior to this one were the Philippines and shortly before that some Kenyan parks. We saw some ‘historical Street View’ in Ukraine dated 2011, suggesting that there were political hurdles to cross before releasing Street View there. Street View changes from September 16th, 2015 to October 20th, 2015. Changes are marked in red. Large version. Quadcopter drone being flown in Istanbul, Turkey. St Nicholas Cathedral, Kyiv, Ukraine. Church of Saint Clement of Ohrid, Skopje, Macedonia. When will it be added to Street View in Moldova? Google street view was a great addition but like the road atlas unless Google is willing to commit themselves to yearly at the very least updates then it is nothing more then hype. By the time you get your road atlas even though the cover says *2000* it is actually a couple years out of date WHEN IT’S NEW and by the time you get it chances are it’s even older!